Odeo launched the new “Play” interface. Much funner inbox, plus listen while you explore. 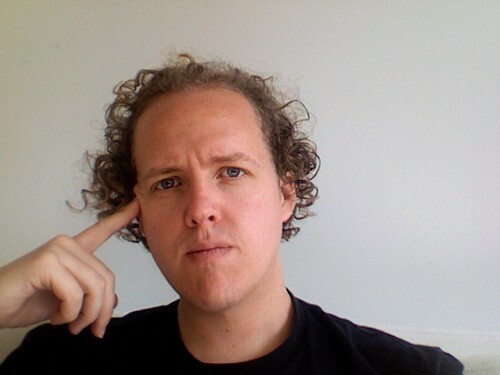 ⇒ Brian McCallister: “So, ruby threads have issues. Multiprocessing, on the other hand, works great.”. The new Odeo site is up; the one presaged by Evhead’s 10 Rules post. It’s not about podcasting (“be different”), its about getting casual. Casual creation, casual sharing. Heading up to Sebastopol in a few hours with the Odeo contingent, be back Sunday evening, in time to do some prep for Extreme Usability on Monday. Interestingly I first met the wonderful/crazy folks behind Extreme Usability (and many of my close friends and colleagues), at Ruckus’ TechToolbox, a (radical) geek camp out, hosted in Sebastapol, a little over 3 years ago, less then 20 miles from the O’Reilly’s campus. Will be in Santa Cruz this weekend visiting the folks, and then in San Francisco, Mon (May2) – Thurs (May5) hanging out at the Odeo office. A lot of my time is already spoken for, but I always look forward to meeting up with friends and acquaintances (past, future, present, or virtual) when and where possible. ⇒ JoshP’s cutting, if ambiguous, critique of the current crop of web offerings. ⇒ Rails, how does it scale for larger projects. I’ve never really done Ruby, Rails, or TDD, but several hours after getting Odeo SVN access I’m checking in my first battery of tests, not to mention code.